This is one area that all of us must participate in at some point. As a services consultant and technical instructor, this is a concept that I cover with customers. It seems obvious, but in reality, it’s hard to get individuals to commit to or even appreciate the role they provide within their organization. It becomes obvious that clear lines of ownership within companies are not always defined. I see this when working with individuals at all levels with I.T. When training, users that don’t ‘want’ to be there stand out, as either not accepting ownership of the product they’re supposed to administer. Managers that haven’t mapped out ‘how’ services are currently being delivered or higher levels of management that haven’t followed best practices and are now are forced to figure out ‘what’ should be done within new tool designs. So many of us are forced to deal with the day to day, and it’s difficult to focus on what can I do today to make tomorrow better? A lot has to do with attitude. But, also direction from above. 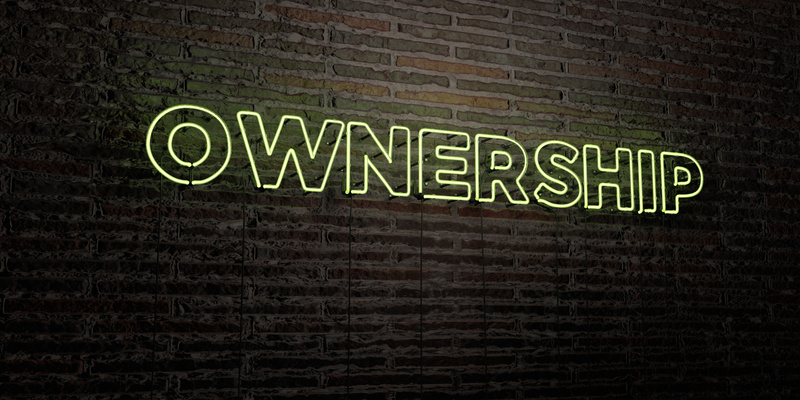 Roles and responsibilities that are not clearly defined lead to a lack of ownership. A ship drifting at sea! Empower individuals to get the job done! Recognize when they do, and not just when they don’t get the job done! Get rid of siloed groups within the company. Make sure everyone understands how they impact the overall processes’ that they are a part of. Like how support works with sales and services. Educate everyone as to ‘how’ they fit within the overall process. Sometimes folks don’t even realize that the person that sits on the other side of the cube wall can be their ally. When everyone takes ownership of their part of the customer success process, we all win.